In the fall of 2015 SFT signed a Memorandum of Understanding (MOU) with the Michigan DNR Fisheries Division to facilitate SITC. SFT has been coordinating this program since 2013 and by signing the MOU have officially accepted responsibility as a “cooperator” and for coordinating this statewide K-12 classroom program including individual classroom education plans. 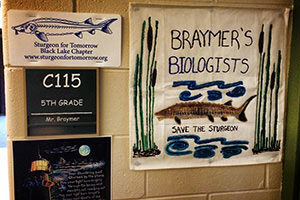 This project aims to increase awareness, understanding and appreciation for Michigan’s state threatened lake sturgeon, and the ecology of the Great Lakes eco-region through hands on, place-based education, engagement, mobilization, stewardship and advocacy, to develop long term sustainability of the Great Lakes Fisheries. We are in the process of developing a standardized application and selection process for future year’s participants. In partnership with the Michigan Department of Natural Resources (DNR) Fisheries Division, Sturgeon For Tomorrow have been having an absolute blast facilitating Sturgeon in the Classroom (SITC). 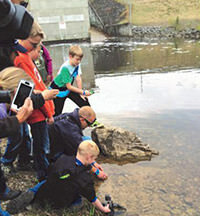 Students from Cheboygan, Onaway, Alpena, Lapeer, Lake Orion and Holt welcomed their very own sturgeon in October 2014 when the fish was only about five inches long. 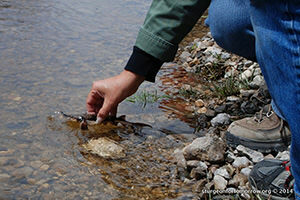 Classrooms adopt a fall fingerling lake sturgeon that have been raised at the streamside hatchery on the Black River. 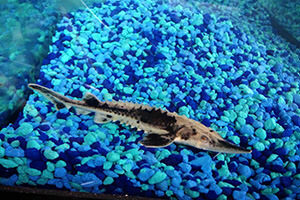 Students nurture their sturgeon by set up feeding regimes, water temperature and water chemistry monitoring, maintenance of the tank and filters, while they are also learning science, technology, engineering and math (STEM) curriculum. Frozen bloodworms are the menu for the young lake sturgeon that grew from 5 inches up to 18 inches over a period of seven months. That’s pretty impressive for a relic that can grow to be 8 feet in length and weigh over 200 pounds. 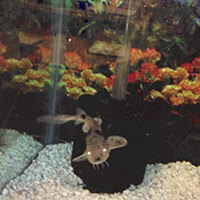 By raising this native fish, students are learning about threatened and endangered species, clean air, clean water and the importance of stewardship. 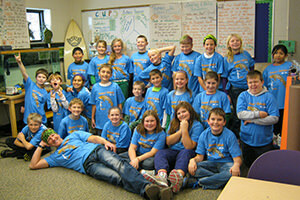 Students from each school released their sturgeon wondering if they will ever see their little buddies again. Each fish was implanted with a PIT tag, so when captured in the future the classes will be notified of date, location, length, weight, etc. of their classmate. 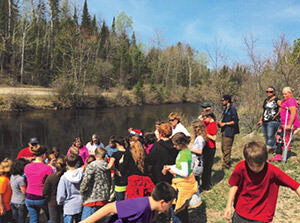 The students hope for a better future for the iconic lake sturgeon and feel honored to have had the opportunity to learn about such a charismatic fish.